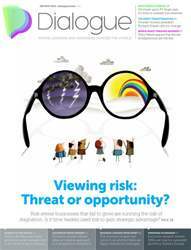 Viewing risk: Threat or opportunity? The theme of this issue is risk. Risk adverse businesses that fail to grow are running the risk of stagnation. Is it time leaders used risk to gain strategic advantage?